Shop Mapex H400EB Double Braced Hi Hat from AMS and enjoy Fast & Free Shipping. 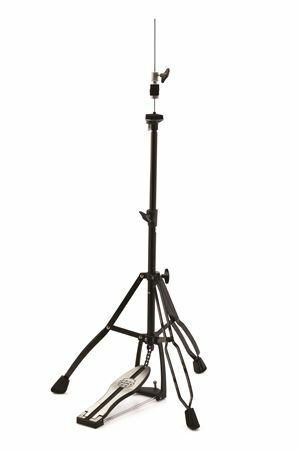 Storm H400 Hi-hat stand is a medium-weight line featuring durability and versatility in an affordable selection of double braced hardware. The direct-pull-chain-drive-mechanism creates a smooth and responsive feel. The Mapex Storm double braced 3-Leg Hi-Hat stand is black plated. Works great. Well worth the cash. Takes a beating. Well made. I was expecting a bit more from it. I may be replacing this soon. It is fragile and lightly built and not as solid as I would have hoped.